OFW (Overseas Filipino Workers) stopped the integration of terminal fee for international flights from Manila. 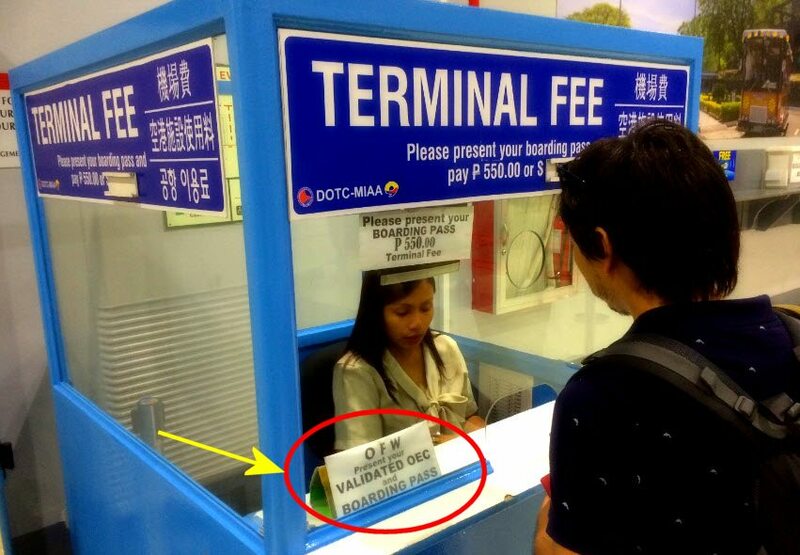 OFW have a privilege – they do not have to pay the terminal fee when traveling abroad. After initial opposition by 17 foreign carriers to integrate the ₱550 (US$12.50 or £7.50) terminal fee into the price of an airline ticket, the majority of those carriers along with 15 other carriers have finally agreed to do so. Under a Memorandum of Agreement signed last July 1 at Ninoy Aquino International Airport’s (NAIA) Terminal 3, thirty-two foreign and domestic carriers and the Manila International Airport Authority (MIAA) have agreed to initially implement the integration of terminal fees into the cost of airline tickets beginning on October 1, 2014 with a transition period lasting through to September 30, 2015. Full implementation will take place on October 1, 2015. Once fully implemented, passengers can proceed directly to passport control from their carrier’s check-in desk, facing one less queue. Overseas Filipino Workers (OFW) are currently exempt from paying this fee. Recruiters of OFWs, who claim were not consulted, have expressed concern that this new policy will create confusion both for them and OFWs. Under the new policy, OFWs or their recruiters will initially pay for a ticket that includes the terminal fee but can request for a refund of terminal fees at a designated ticket desk. Everybody expected the same chaotic scenes at the Terminal Fees Refund desk that can already be seen at the TIEZA Travel Tax desks. The problem is with the Philippine lawmakers. They cannot pass one law without according exceptions to particular groups. Like in George Orwell’s Animal Farm, the lawmakers stipulate that: All Filipinos are equal but some Filipinos are more equal. Many of these exceptions create incredibly complicatedly procedures. These procedures need a big number of staff to handle the exceptions. ABS-CBN reports: The Pasay Regional Trial Court has temporarily stopped the implementation of the integrated terminal fee in all airline tickets of international flights. The Pasay RTC Branch 109 issued a temporary restraining order (TRO) on Friday, granting the petition of several overseas Filipino workers’ groups and advocates. A Memorandum Circular of the Manila International Airport Authority (MIAA) mandating airline and travel agencies to integrate the terminal fee of P550 in the price of airline tickets was supposed to take effect on November 1. 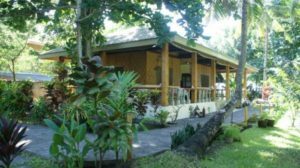 The OFW groups argued that the circular violates a provision in the Migrant Workers Act, which exempts OFWs from paying travel taxes, documentary stamps and airport terminal fees. Recruitment industry leader and former OFW Lito Soriano lauded the court’s decision to grant the TRO. MIAA, meanwhile, said it will honor the TRO and will suspend the implementation of the integrated terminal fee.